Reports say the fmr. Gov. 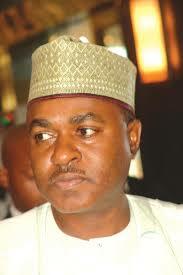 of Bauchi state, Isa Yuguda has been invited by the Economic and Financial Crimes Commission (EFCC). Daily Trust reports that the invitation is connected to the aircraft that was recently recovered by a committee set up by the Bauchi State Govt. A former Commissioner of Information in the State, Alhaji Salisu Ahmad Barau said “We know EFCC has their own law of operations and we believe they are to be fair to all, we know Yuguda when he was a Governor, he did his best; he was fair and just." Adding that “We believe that if the EFCC should invite him he will answer all the question they will ask him to the best of his ability and by the grace of Allah they will be satisfied." However, the EFCC spokesman Wilson Iwujeran said he is not aware of the invitation. Rising in the defence of Yuguda, Barau said the aircraft was never missing. 1. The aircraft was first leased to Messrs IRS Airlines. 2. Yuguda entered into a fresh lease agreement with the company and Messr Dornier Aviation AIEP as consultants. 3. The lease agreement was later terminated and the aircraft was handed over to the consultants for safe keeping. 4. A fresh agreement was entered with Messrs Hamsal Air Service on a monthly rental fee of N15 million while retaining Messrs Dornier Aviation as consultants. 5. In October 2011, Hamsal Air Services indicated intention to withdraw from the agreement. 6. Outstanding rental fees for the months of August-October, 2011 to the tune of N45 million against Hamsal Air Limited are yet to be settled. 7. The aircraft was then leased to Messrs Associated Aviation Limited on a monthly fee of N17 million. 8. It took the aircraft to Ogma Facility in Portugal for 5 ‘A’ Checks in March 2012 during which it became due for ‘C’ Checks but it requested the Bauchi State government to settle the cost, promising to pay at a later date. 9. Associated Aviation Limited failed to refund to the state Euros 962,293.96 in respect of the 5 ‘A’ Checks and the ‘C’ Checks and other services including Insurance. 10. The aircraft was leased to Messrs Overland Airways Limited to update its records and make it airworthy. 11. Overland took aircraft to the Atlantic Air Industries facility in Morocco and the sum of $ 600,000 was released to the company to facilitate early completion of the work.